Homeschooling at Christmastime can be stressful or non-existent depending on how each family handles it. Taking off for the entire month of December is not always an option nor do all children handle such an extended amount of time off well. 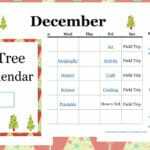 We haven’t always homeschooled through the month of December, in fact this will be the first December that we have homeschooled since starting our year round homeschooling journey. This year I made the decision to change our homeschool schedule because our old schedule didn’t fit with our new family business’ busy time. Yet, I knew that I didn’t want to have my kids complete all of their normal studies during the holidays, I wanted to take extra steps to make homeschool fun at Christmastime. If you’re wondering how you can homeschool at Christmastime while you’re so busy with holiday preparations, parties, shopping, baking and more, I’m excited to share a great resource that will help you celebrate Christmas and teach your children at the same time! 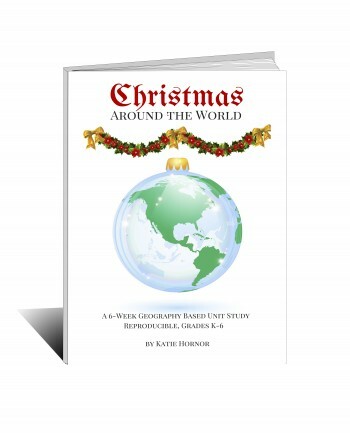 Christmas Around the World is a geography based unit study that will keep Christmas at the center of your homeschool. Your kids will spend the holidays virtually traveling around the world, visiting Australia, England, Greece, Mexico, Switzerland and more! As the teacher you’ll be thrilled to find 60+ pages of lesson materials and over 100 of reproducible worksheets already prepared for you. 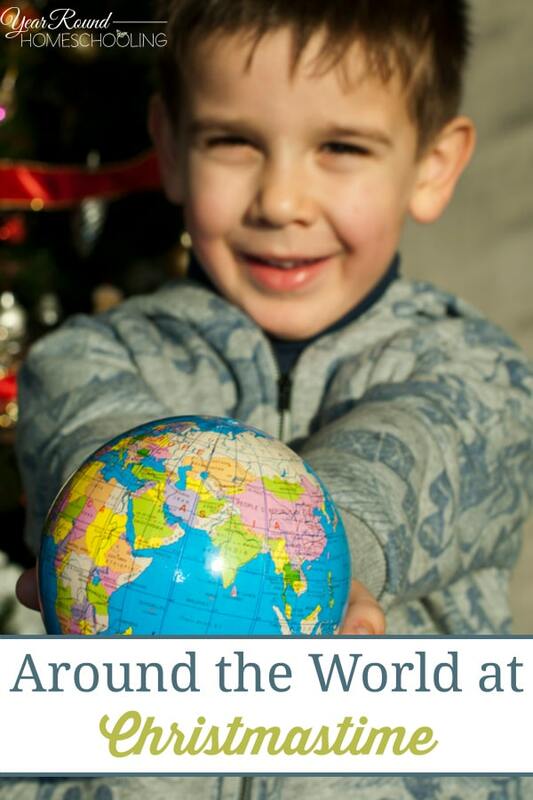 Everything you’ll need to virtually travel to 30 countries around the world with your children this Christmas is at your fingertips with Christmas Around the World! This is a digital homeschool curriculum that is adaptable for all skill levels and is based entirely on facts. 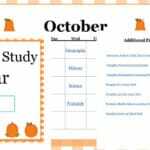 Adding reading time to your homeschool days is easy with the book lists that accompany each country throughout the unit study. While this is a geography based unit study, other subjects are either covered or there are ideas on how to integrate them located throughout the curriculum, this includes but is not limited to; math, reading, science and art. Further enhancing your studies of each country is easy with the internet links included within each lesson. 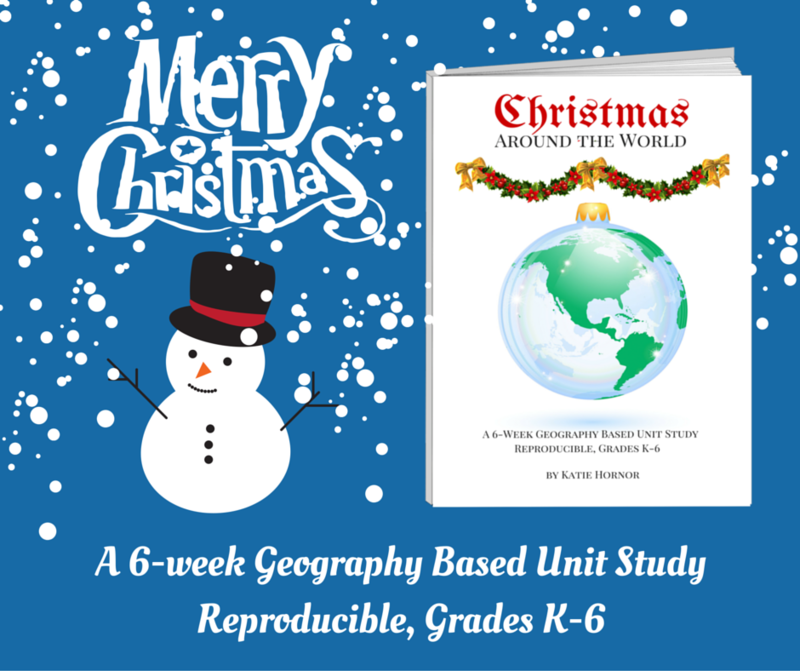 If you’re looking for a fun way to ensure that Christmas remains the center of your homeschool this year, I believe that you and your children will thoroughly enjoy the Christmas Around the World unit study! 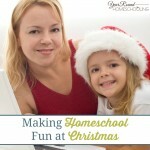 What are you using to homeschool through Christmastime? Traveling around the world at Christmastime is a great educational journey! This looks like such a great study! Thanks for sharing it. couldn’t get the link to work, looks like a good study.